Chantel Bonneau is a Certified Financial Planner™ in Southern California. Chantel has found great success in transforming clients’ financial lives by demystifying the planning process, understanding how her clients best work, and helping them execute on their goals. 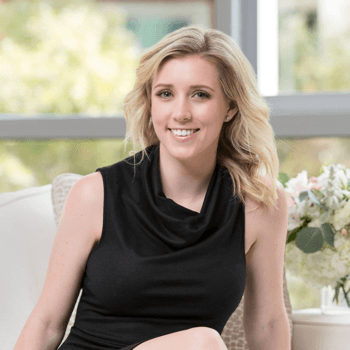 She has been named a Top 25 Rising Star in the Industry by LIMRA, speaks at various industry events across the country, and has been featured in many publications including Forbes, CNBC, Women’s Health, Money Magazine, WSJ, and many more. Chantel is passionate about building financial confidence and helping professionals take control of their financial life. She lives in San Diego with her husband and travels around the country to meet with clients. Gaining clarity about personal finances, taking financial ownership, and building a healthy relationship with money is hard, and the anxiety of tackling such could be holding you back. Author Chantel Bonneau will show you that hope is within reach; there is a way to enter into a healthy relationship with our finances, starting with discovering your FIN type. Everyone―the millennial, the single parent, the forty-year-old blue collar worker, or the late-fifties CEO―has a financial type, or FIN type, and it’s never too late or too early to start working on your financial plan. In Finding your FINancial Type, you will discover which of five different FIN types you align with, empowering you to achieve good financial health just by being yourself.